In the business-to-business (B2B) world, companies must constantly update their product offerings, and how they’re sold, because of ever-changing customer needs, rapid technological change and disruptive innovators in their space (think Uber versus taxi companies). While it may seem like good business to immediately move from current (X) to new (Y), the authors’ consulting experience shows that an immediate X»Y shift can cause chaos in the ranks of the salesforce. From the sales view, the salesforce must learn the ins and outs of Y in order to create a “how do the features and benefits of Y solve a customer’s problem” template. They also have to deal with changes in processes and the effects on support staff. All such issues disrupt routine and take time away from actual selling. If X has been selling well, the change to Y becomes even more difficult. Why? 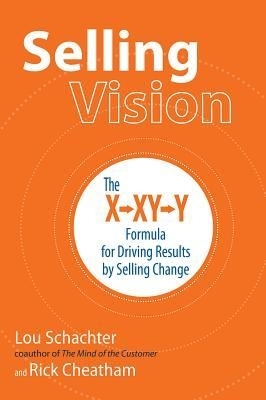 The salespeople know that X has market appeal, while Y’s isn’t known. Immediately shifting to Y will have an adverse impact on their ability to earn commissions and bonuses. They also aren’t sure how current customers will react to the change, and the length of Y’s selling cycle to new customers versus that of the proven X. The solution: Let the sales force sell XY. Instead of characterizing Y as the replacement, tout it as “another solution” they can offer to customers. What salesperson doesn’t want an additional way to approach existing customers and add new ones? “Additional” provides the incentive to learn about Y and how to sell it. Over time, the company can phase out X as the salesforce see that Y offers greater opportunity to make sales. Z, the next product offering, will follow the Y»YZ»Z formula. 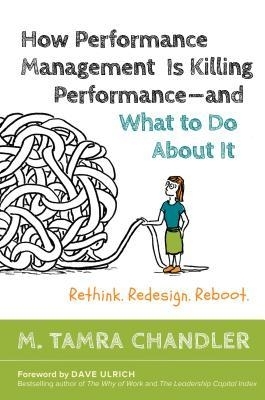 Who hasn’t walked away downtrodden from a performance review that focused on the “you need to improve” aspects of performance rather than the contributions made? 1. By not remembering “good work,” the system “impedes the reception of feedback and limits honest dialogue.” Employees prepare for such reviews by viewing the supervisor as an adversary who judges, and has control over assignments, raises and promotions. So much for empowerment. 2. The system ignores the fact the “no man (or woman) is an island.” Individual performance isn’t individual. Organizational changes, shifting priorities, team structure, budget cuts, turnover, etc., have a marked influence on an individual’s ability to perform. To reconnect, Chandler offers this advice: Don’t tell people how to do their jobs. Instead, tell them what must be done and how the outcomes contribute to achieving organizational goals. With this context, let them figure out “how” — which bundles empowerment and engagement. To monitor progress, check in with them periodically — but not as a judge. Ask what they need more of and less of from you and others involved with their assignments. By asking for and listening to feedback, you show continuing interest in their success. Timely conversations build trust, respect and relationships. Welcome input from those with whom the employees interact. This provides insight into how they work with others and teams.